Photo: The Minister of Shipping, Hon, Asi Eikeni, (right) with shipping officials pose for the camera on the deck of the Puleono upon the barge’s arrival on Monday afternoon. 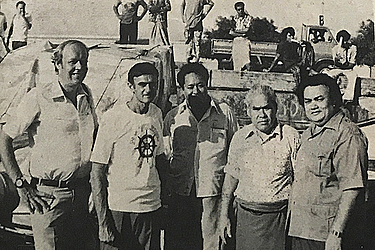 From left: Mr. Rasmus Sieg, general manager of Samoa shipping services; Mr John Bardsley, the Australian captain who brought the barge over; Pule Lameko, manager of WSSC; and a government official. First Published: 14 September 1978. The ever talked about queen of the Pacific, the Queen Salamasina, will begin a regular once-a-week trip to Salelologa starting next Tuesday. At last! Poor queen, she has roughly been pulled out of her Tuesday voyage to American Samoa so that she could ply east. She retains her Thursday and Sunday runs to Pago and this has been aptly made to coincide with the arrival of the WSSC’s new barge, the Puleono. The Puleono arrived on Monday. 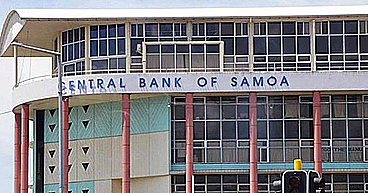 On Saturday it begins ferrying to Salelologa alongside her sister, the Limulimutau. So next week on Tuesday, Salelologa will marvel that all the WSSC’s three ships sail right up its doorstep one after the other. 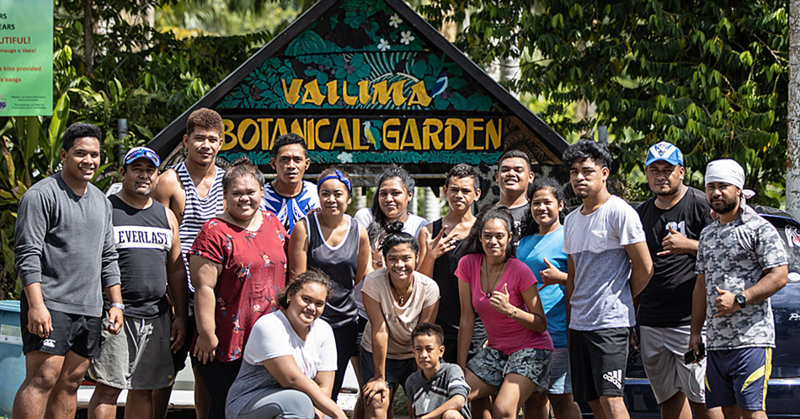 When the multi-million tala Salamasina arrived, a gift from Australia for the Savaii service, a lavish feast was put on at the Salelologa wharf . So it came as no surprise that the arrival of the Puleono was heralded with no fanfare. Who would entertain the knowledge that the Puleono might be later on pulled out for some other service like for instance, delivering nuts to the South Pole? As it turned out, only the Minister of Shipping, Hon. Asi Eikeni, Pule Lameko, manager of WSSC, and a few other were at the wharf to welcome the Puleono Monday afternoon when it arrived. The comment was naturally well-received with a giggle, an embarrassed laugh and more giggles. No doubt Asi’s other concern while awaiting the barge on the wharf was to make sure that two containers containing his furniture from Singapore were on the barge. The containers, red and huge, were on the barge alright. They were released Monday night at about ten. So all in all, the ferry service to Savaii might now be slightly better. Let’s hope so. And with the opening soon of the ramp at the Apia wharf which would load and unload vehicles, the ferry service would be even vastly improved. Let’s hope so. 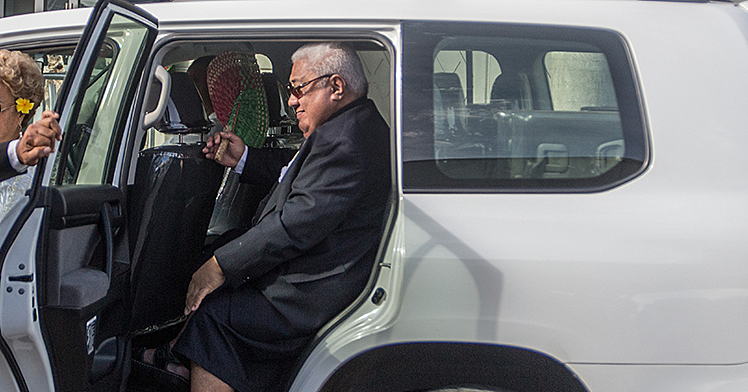 Starting next week, the Queen Salamasina would be bringing vehicles over from American Samoa. The vehicles would have to be steamed clean on arrival here, said Pule. Who would pay the steam-cleaning costs? “We are,” said Pule. But the idea is that steam-cleaning costs go into the freight charge, so at the end, the customer is the ignorant payer. But business is business, so the business people say. I wonder what the small man is allowed to say? Since I, a true lout, has allowed himself to have a say in the matter, I assure that I won’t rest easy until someone steps up to be patted on the back.